We all know that there are numerous fashion trends today and their existence is definitely making it hard for some people to make the right choice. It all comes down to personal style and preferences, but in some cases they turn out to be more important than any trend and certain individuals refuse to follow them. Of course, this is not always a good idea! In fact, it often leads to disastrous results, because trying to be different is really hard and you need to do it the right way. The list below shows different attempts made by designers and customers who had no idea how wrong their choices were. 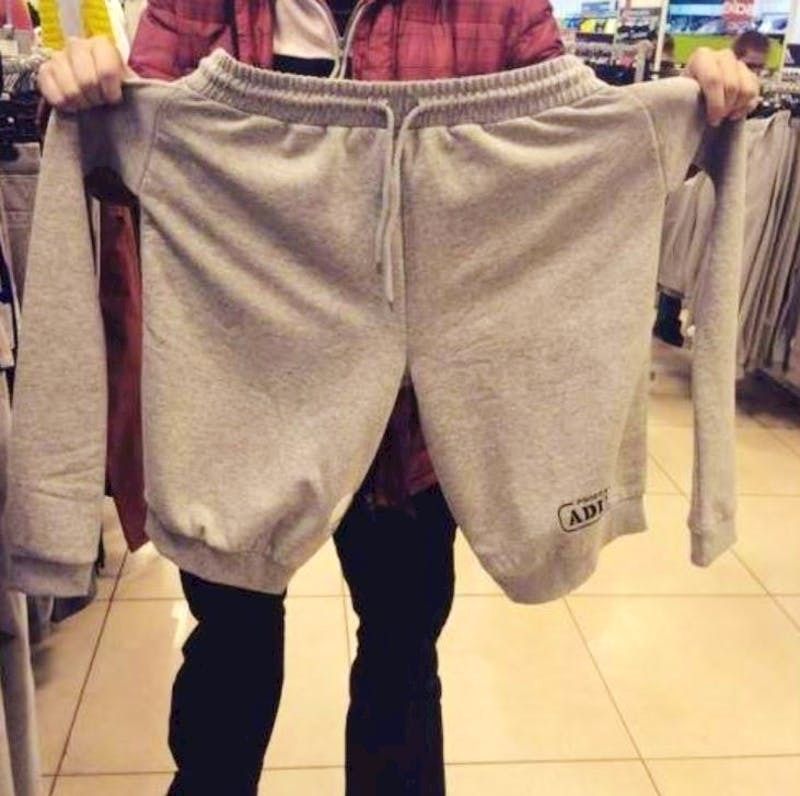 We have seen many different types of clothing before, and a lot of them can be described as unconventional, but this thing here brings things to the next level! Seeing it is definitely going to make everyone wonder how a person is supposed to wear it! It combines two completely different types of clothing that we believe are incompatible. Putting these on would be hard but even if you manage to do so, it would look ridiculous! When you use the word ‘extreme’ to describe an outfit, you would definitely mean one specific feature about it. However, when it comes to this outfit here, things are different, because it is extreme in more than one way! 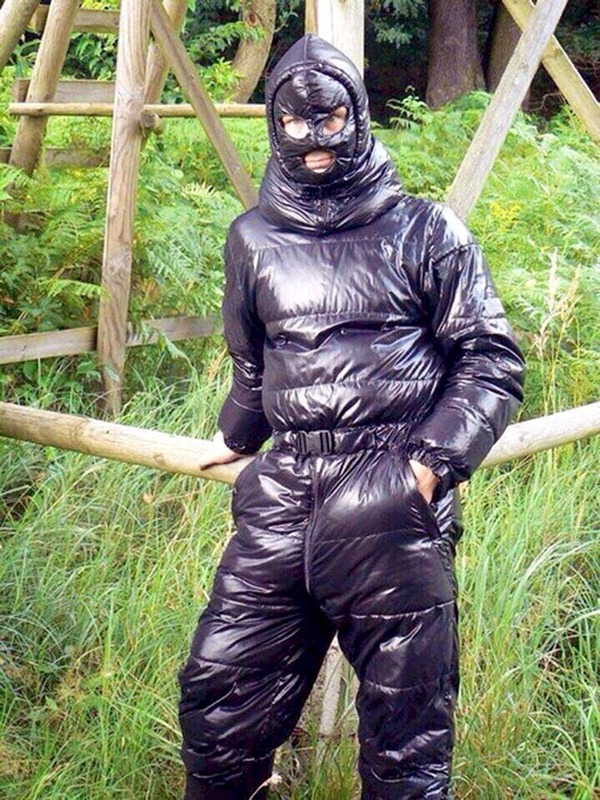 As you can see, someone probably intended to create the suit to achieve a full protection while practicing extreme sports in severe weather conditions, but the end result looks like nothing we would put on, not to mention that there is something creepy about it. One of the hardest things about choosing a specific outfit is the accessories you need to add to it. There are all kinds of things you can do to improve your appearance and the belt is one of them. 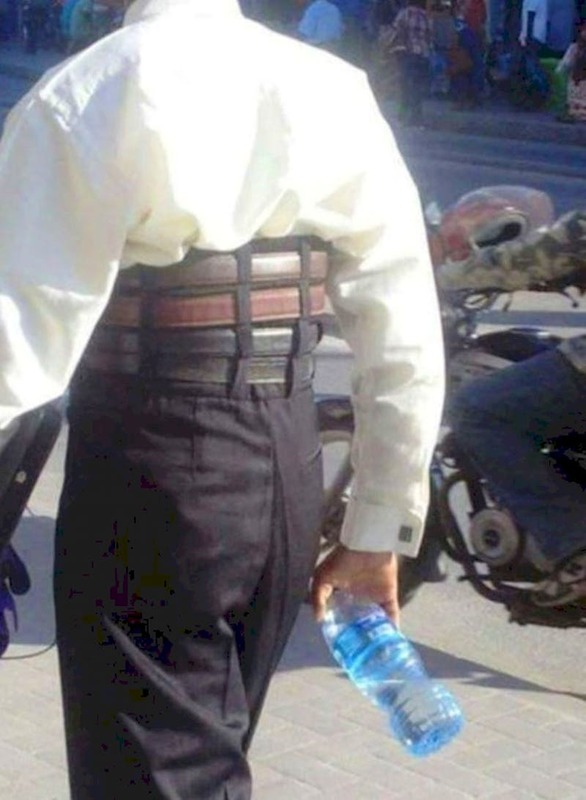 However, it is always hard to choose the right belt, so this was probably the reason why someone came up with these pants! As you can see, everyone could simply put all their favorite belts at once without the need to choose only one of them! Most people are perfectly aware of the fashion styles and combinations that are considered to be a huge no-no and they tend to avoid them, but not always. 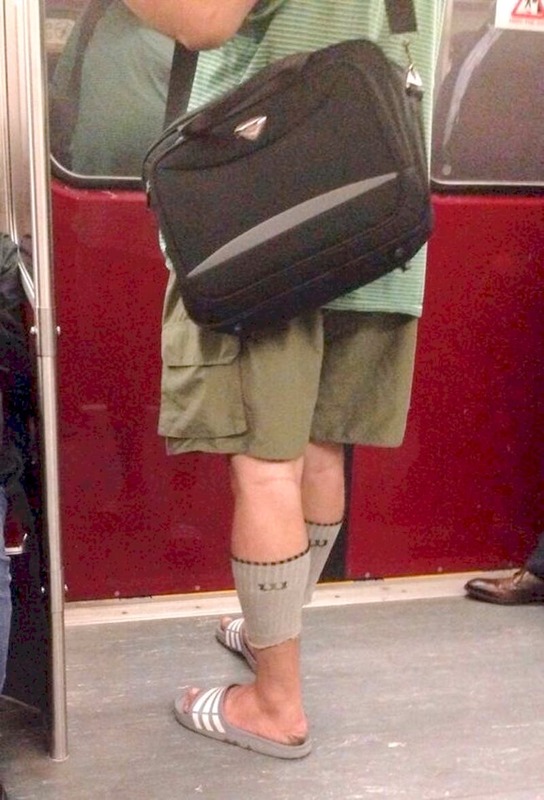 One of the worst things to do is to combine sandals or flip-flops and socks! This is simply unacceptable and just when you might think that it cannot get any worse, this person comes along. 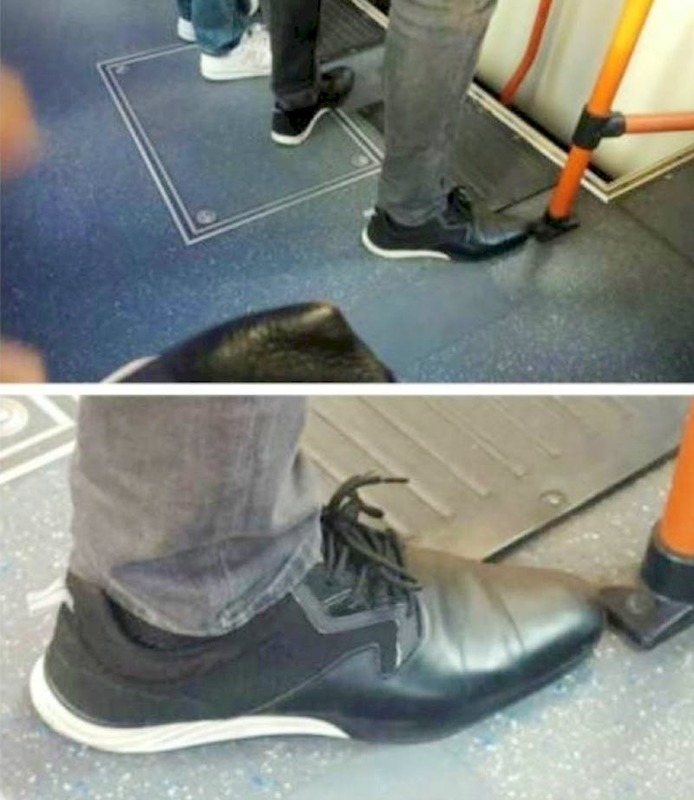 His choice of footwear can make anyone cringe, and for good reason! 5. Ripped jeans have just become obsolete, or have they? When something trendy is introduced to the market, people can literally get obsessed over it and we all know that. However, even what seems to be the trendiest thing in a long time can actually be replaced. 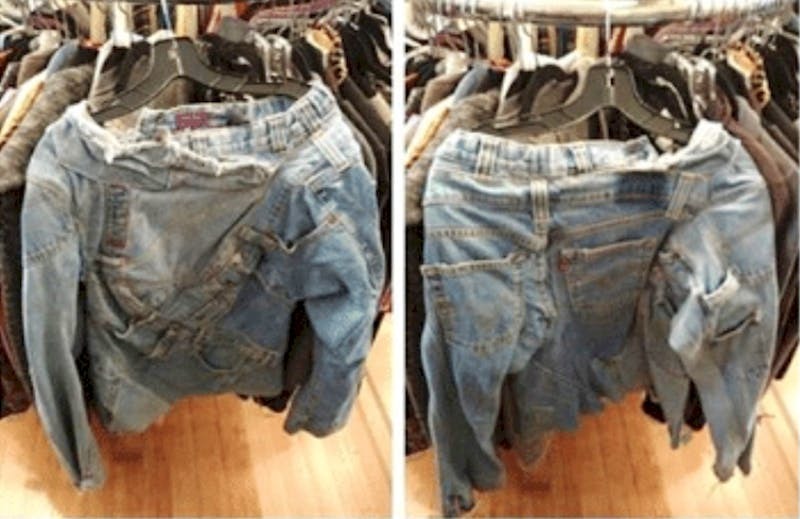 Of course, it would take something really special to replace ripped jeans! Whoever came up with the creation you see in the photo above probably tried to do exactly that, but failed, because nobody would be happy to wear these! When it comes to winter coats, the variety is endless and you are able to find all sorts of shapes, sizes and fabrics, not to mention the variations in thickness and insulation available. However, some coats are definitely a controversial choice to make and this thing here is no exception. 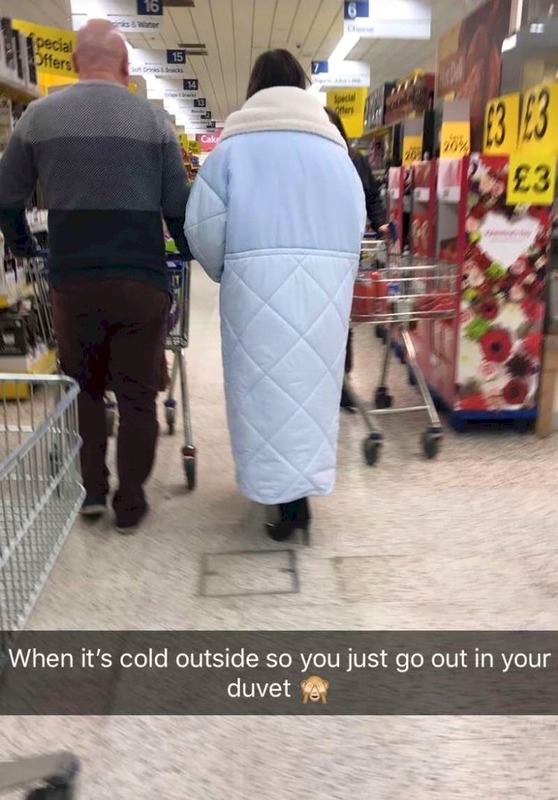 It looks as if this person was wrapped in a duvet! 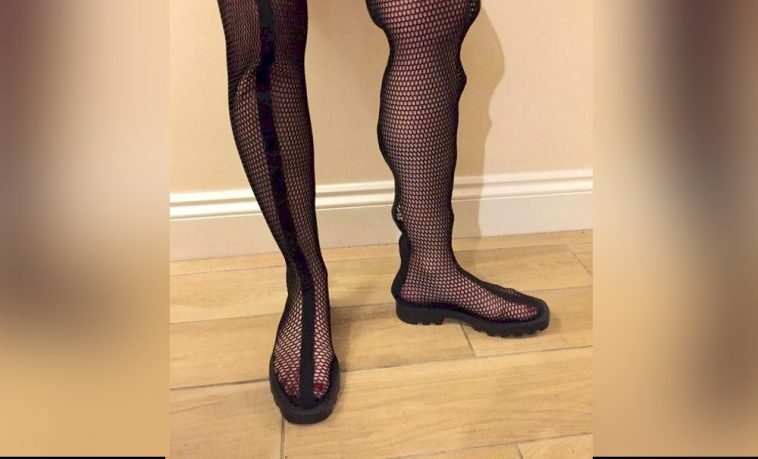 The length and the pattern are ridiculous, and we are not sure if this person combined them with boots or high heels, which would be unacceptable! 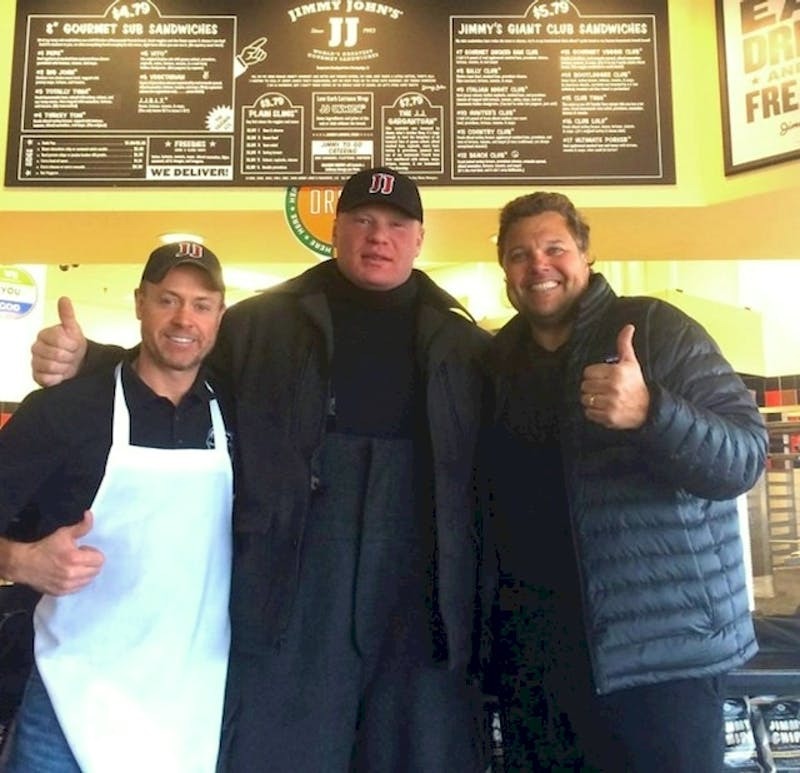 Well, this photo is definitely hard to describe, because it shows a fashion disaster that is wrong in more ways than one and we have no idea where to begin from. First, let’s focus on the word you see. 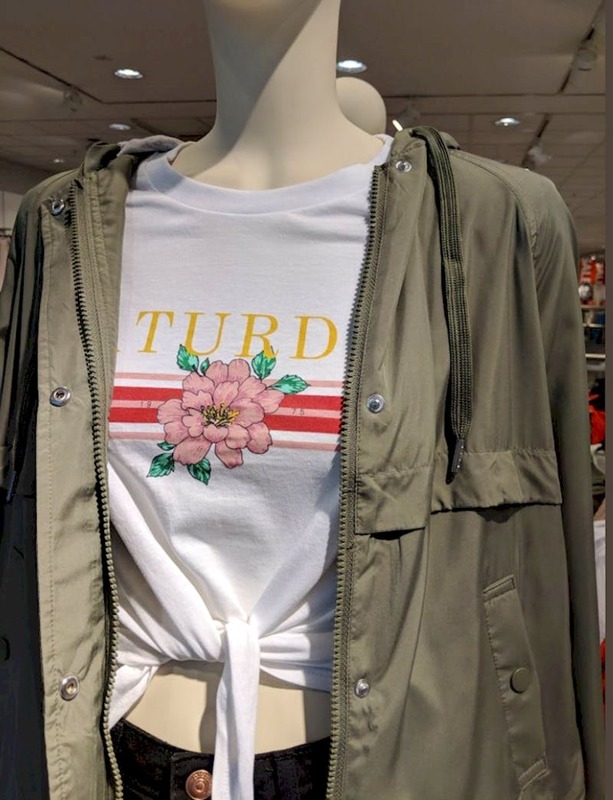 Is is definitely not the one you would expect to find on a T-shirt with a flower on it. Second, the way that the bottom part of the shirt is definitely not a fashionable thing, too. And finally, the combination with that coat is not okay, either. Just like the first image on the list, these denim creations really puzzled us because we have no idea what they are. We might be able to guess but the answer would remain unspecified. However, let us focus on the fabrication quality. They look as if they were sewed together by different leftover pieces of denim, and we believe that this approach was part of the initial design, but it definitely turned out to be a lot worse than expected. We believe that these shoes are among the weirdest we have ever seen! While there are hundreds of types of shoes available on the market, the combination between these particular two types appears to be more than controversial! As you can see, the rear part of the shoes is a typical sneaker, but the front part looks like a stylish leather shoe. They are blended rather smoothly but they are still not a perfect match! We believe that even those individuals who decide to follow their own rules need to look up the current fashion trends to avoid embarrassing situations. We guess this woman failed to do it, so she decided to do what she had in mind. It is something we cannot approve at all and you can easily see why! 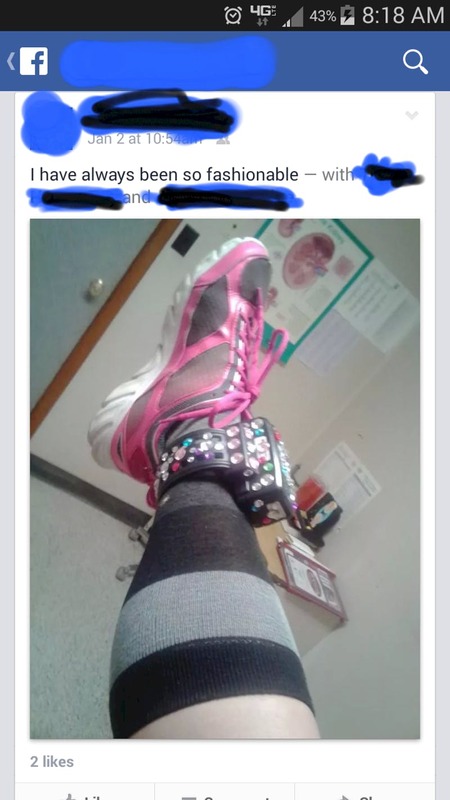 She actually decorated her ankle monitor to make it look like a fashion accessory but it looks even more bizarre now! Sometimes the things we see are truly special, and we believe that it would take a true individualistic soul to come up with a thing like this! We have seen many different track suits and they can be very different from each other when it comes to design, functionality, patterns, fabrics and color choices. 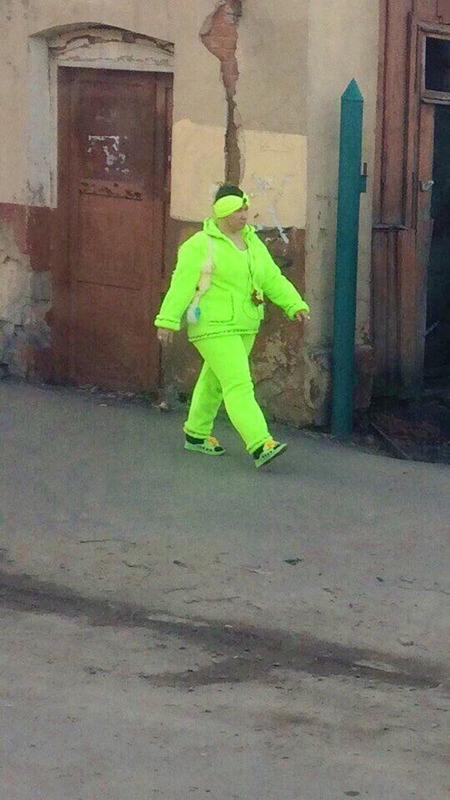 However, we have never come across something as flashy as this outfit! It can definitely steal the show on every street, for better or for worse. 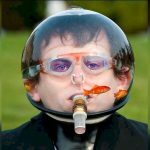 We already mentioned that individuals prefer unique solutions for their outfits, but even the most outgoing people and the fashion rebels would probably cringe upon seeing this thing! 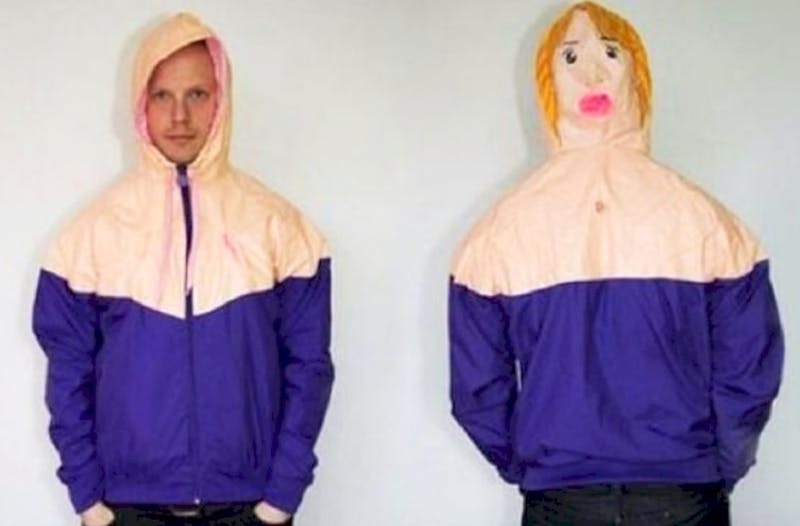 We cannot believe that someone actually came up with it, because it is the weirdest piece of clothing we have seen in a really long time. Imagine walking behind this person without noticing the addition to the back of the hoodie and you suddenly see it! That would be enough to scare us for sure! Making a fashion statement is not that hard these days, but it needs to be subtle if you want it to work best, because something flashy might be accepted as controversial and this is exactly what would probably happen here. 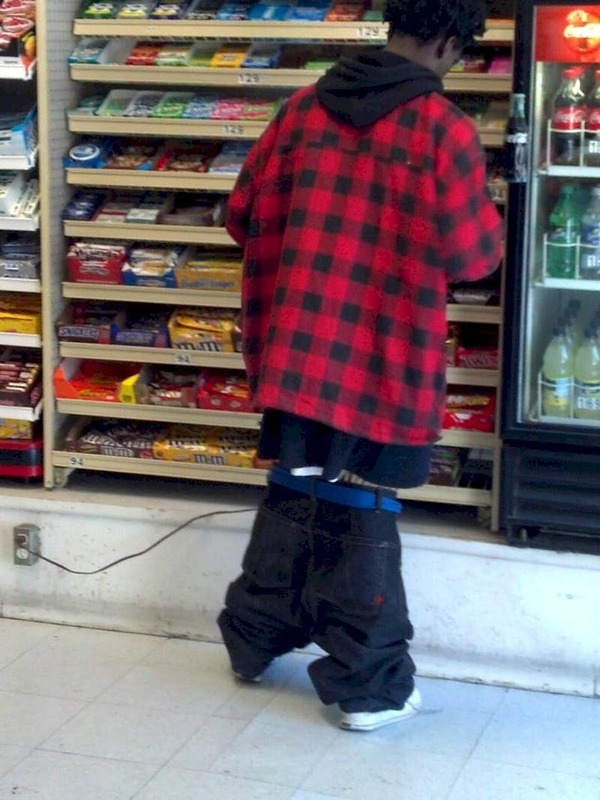 This person took it too far when he tried to follow a certain trend, and what he did cannot be described as cool! in fact, we believe that it might be dangerous for him, because with his pants like that walking would be extremely hard and even impossible. It is not worth to trip and fall just for the sake of fashion. 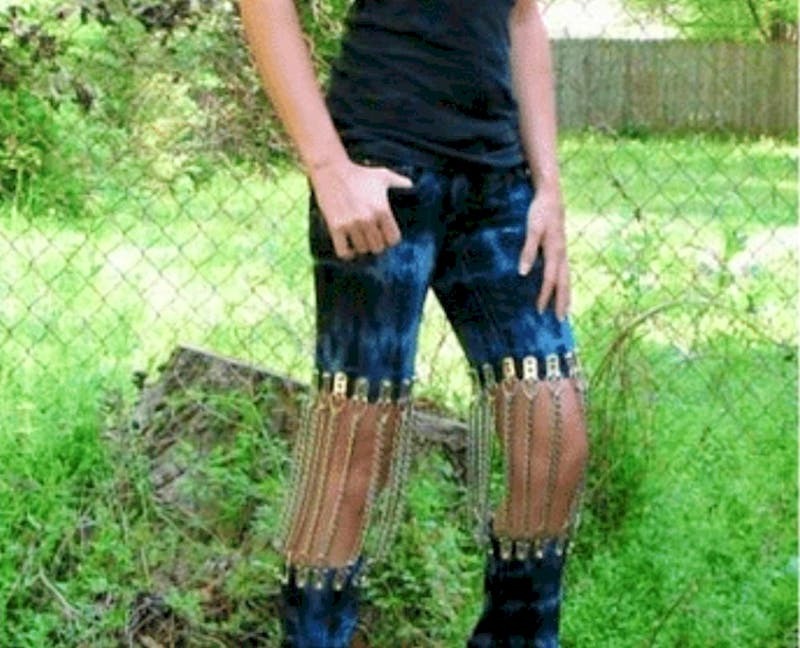 Well, some people might actually like this kind of pants, but we are not among them. As you can see, these pants are definitely not the thing most individuals would opt for, and the reason is more than obvious! They look like they were taken from a comedy movie and chances are that you are not going to see someone wearing those on the street!